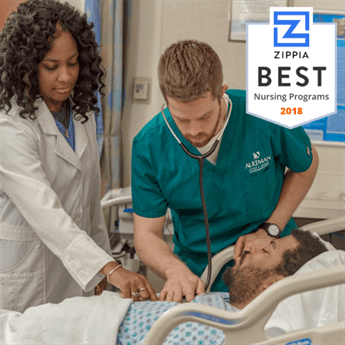 Career website Zippia has named Aultman College the sixth top college in Ohio for nursing majors for 2018. The ranking is based on data from the U.S. Department of Education National Center for Education Statistics and the College Scorecard. The rankings consider graduates’ earnings, admission and graduation rates, average cost of attendance, and average amount of debt after graduation. “This is an exciting time in the nursing profession. Many wonderful opportunities present themselves to our graduates. It’s an honor to be recognized by Zippia for the hard work of our students, faculty, staff, and administration,” said Dr. Jo Ann Donnenwirth, RN, dean of nursing. For more information on the ranking, visit the Zippia Best Ohio Nursing Colleges page.